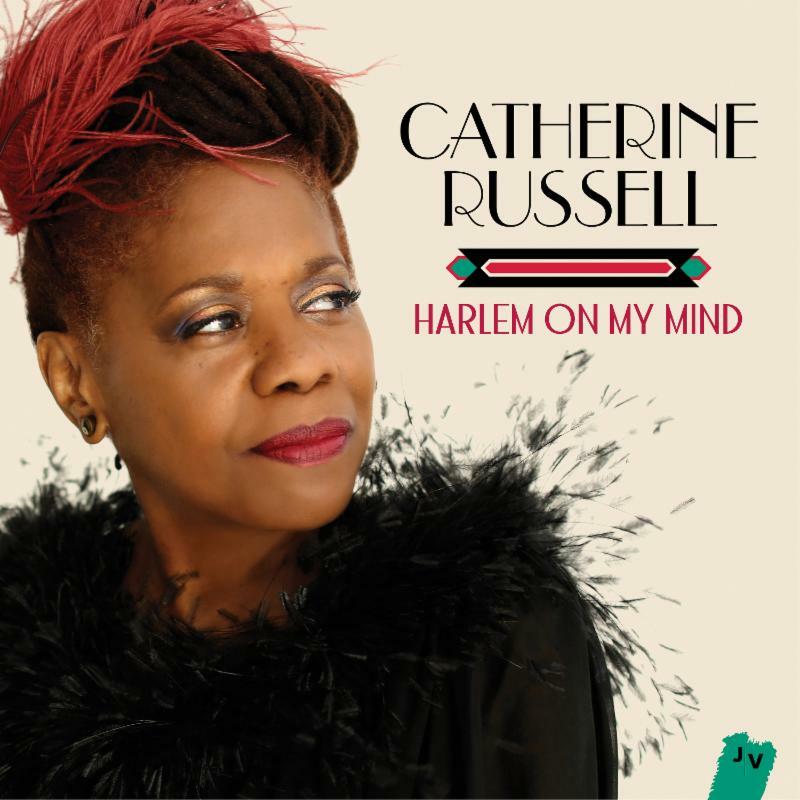 Harlem On My Mind showcases Russell’s honey rich voice in a variety of settings. “I love working with saxophonist/arranger Andy Farber,” says Russell, and here Farber contributes five arrangements for tentet, featuring six horns, including Jon-Erik Kellso and Alphonso Horne on trumpets, John Allred on trombone, and Mark Lopeman and Dan Block on reeds. Her smaller groups swing equally hard, sometimes with fewer horns and sometimes stripped down to her road tested rhythm section, including musical director/guitarist/banjoist Matt Munisteri, pianist Mark Shane, bassist Tal Ronen, and drummer Mark McLean. Don’t Take Your Love From Me features a special guest appearance by tenor saxophonist Fred Staton, of the Harlem Blues and Jazz Band, who was 100-years-old at the time of the recording session, playing beautifully. Throughout, Russell and her band shine, whether serving up dollops of aural comfort food, or go for the rafters explosion of fun. “Mountain Stage”, “World Café”, and “JazzSet”. Russell’s third album, Inside This Heart of Mine, reached #1 on JazzWeek and Roots Music Report’s radio charts, while also charting on Billboard and reaching #1 on iTunes jazz charts. A fourth album, Strictly Romancin’, was awarded Prix du Jazz Vocal (Vocal Album of The Year) by the French Jazz Academy, Grand Prix du Hot Club de France, and a Bistro Award for Outstanding Recording. That same year Russell won a Grammy® Award as a featured artist on the soundtrack album for the HBO-TV series, Boardwalk Empire. Her fifth solo album, Bring It Back (Jazz Village) received a five-star review in DownBeat. 2016 has been an eventful year for Catherine Russell. In January, Russell was featured in an hour-long concert performance on Public Television’s American Songbook as part of the NJPAC series. In February, Russell joined the fellow members of David Bowie’s last touring band, as well as pop-singer Lorde, for a moving Tribute to David Bowie at the 2016 Brit Awards. In April, Russell appeared at The Kennedy Center in Washington, D.C. to sing the grand finale at the 2016 NEA Jazz Masters Award Ceremony, and then traveled to Los Angeles for a live taping of Radio Deluxe with John Pizzarelli. Her concerts, “Catherine Russell: Sunny Side of The Street”, at Jazz at Lincoln Center’s Appel Room in April, which saluted her personal connection to Sy Oliver, were featured on NPR’s “Jazz Night In America.” To support the new album, extensive worldwide touring is slated for the 2016-17 season, including a tour in December 2016 as guest vocalist with Jazz at Lincoln Center Orchestra with Wynton Marsalis on their annual Big Band Holidays tour.